Thanks to the perfect location of our lodge, you have access to more than 20 different lakes and rivers teeming with 12 species of fish. Dezadeash Lake is a warm and shallow lake, rich in plant and animal life. Here you can catch lake trout up to 30 pounds, northern pike to 20 pounds, arctic grayling, whitefish and burbot. Our guests pair up for motorboats on the lake. We brief you on safety and lake travel and we'll even tell you about the secret hot spots. This is a crystal clear blue river offers world class fishing for arctic grayling, rainbow trout, kokanee and lake trout. A jet boat trip takes you to these clean, clear waters that drain from beautiful Kathleen Lake. This is a fly-fisherman's dream. Watch for black bears, moose and bald eagles along the way. A few years ago we were given access to a trapper's hand-built log cabin on the Kluhini River/Frederick Lake. Situated in a protected land area, this cabin can only be reached by ATV, foot, horseback, plane or - in high water only - by jet boat. 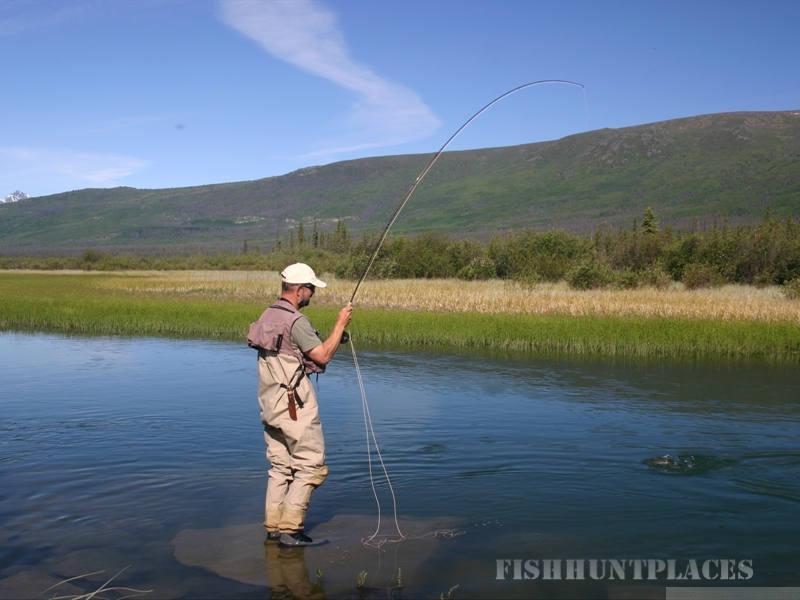 The Kluhini River features world-class arctic grayling fishing with fish up to 55cm. 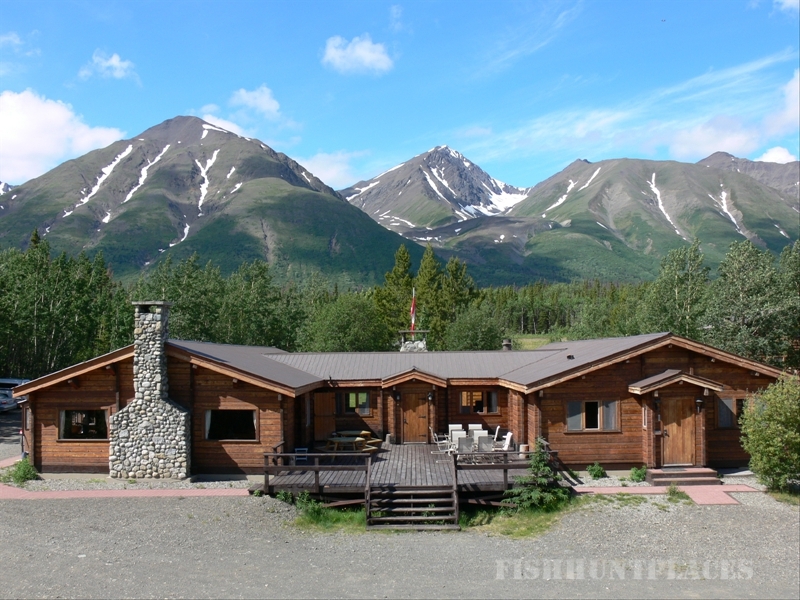 You can also fish for pike and lake trout and spot for moose, bear, beaver, lynx and mountain sheep. Using a 4x4 truck, we travel up an old mining access road, cross two rivers and after two hours of driving, arrive at beautiful Mush Lake. We have a motor boat stored on the shore. These waters are fished virtually exclusively by us. Both Mush and Bates Lakes are home of trophy sized lake trout. We release all fish over 26 inches. You can test your strength on these lakes, we haven't always won! The river has an excellent poulation of large arctic grayling. And when you aren't fishing, take a look at the beautiful mountain scenery that surrounds these lakes. Your chances of spotting wildlife are excellent. A moose wandered right past our campfire at Mush Lake once! This is the best water for giant lakers. Last year we caught many fish over 40 pounds, some even over 50. 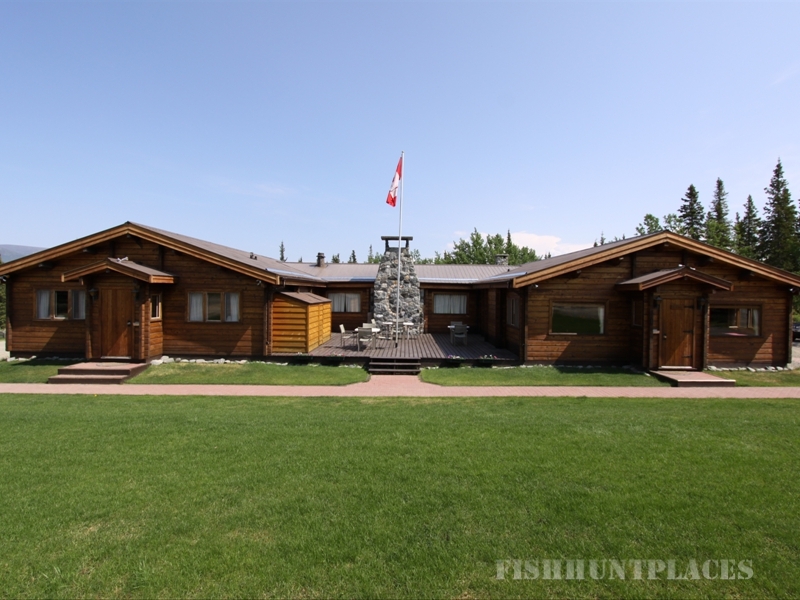 We travel on the big lake with well equipped 140 HP boats and we have a nice log cabin for overnight trips. This salmon river is only 30 minutes from the lodge. In July we travel by jet boat to the best pools for king salmon. Fly or bait-fishing, your catch is almost guaranteed. 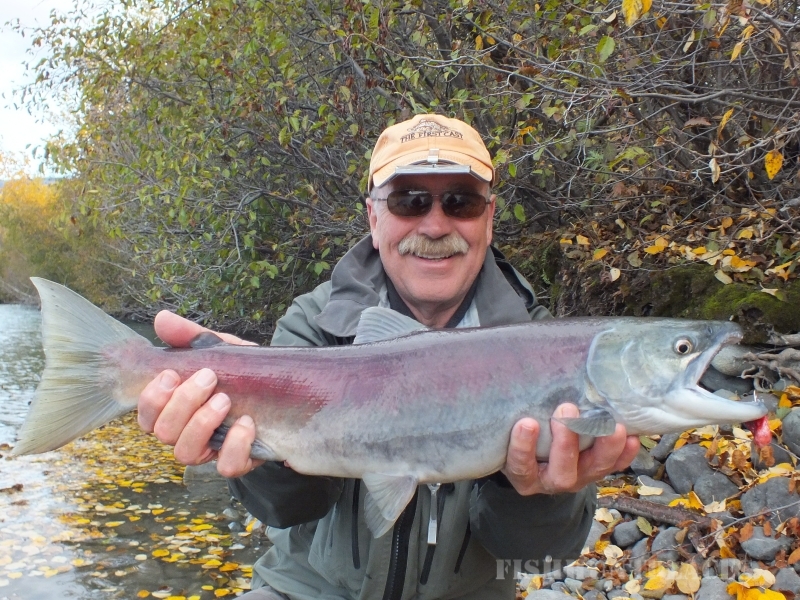 If you're tired of the crowds and hoopla of Alaska's salmon rivers, then the Tatshenshini is for you. A wild river, surrounded by even wilder scenery. Your fishing experience is miles away from "civilization". At peak times, our guests can catch over ten salmon per day and catches over 50 pounds are not exceptional. The nearby Takhanne River's ice-clear waters are paradise for the fly fishermen. In fall, Sockeye and Coho salmon ascend the waters.